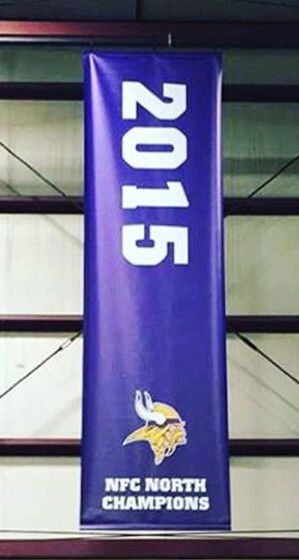 There are many places to buy a banner in the Twin Cities, but only Signs4Success takes the time to get to know you and make sure what you are buying is as good as it can be. Everything from design to viewing distance to material selection is considered to create the best banner possible. Our free consultations with branding experts get to the bottom of what you are trying to accomplish and advise you on ways to get the most out of your banner. 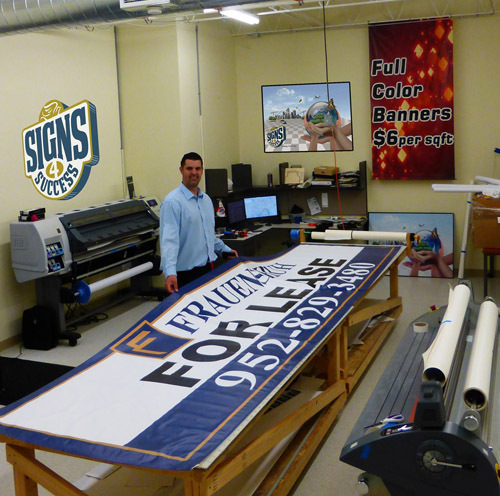 This ensures your banner will not only read well at the appropriate distance but it will represent you well. This is a big deal because the average banner shop employs students who have no experience producing banners for people. they put the file in and hit 'print' with no regard for what comes out. Not us. Our designers have worked on some of the largest brands in the world and know what professional graphics should look like. Our prices are very competitive, starting at just $6 per square foot! This is a terrific deal made even better by the experienced professionals you'll get to work with. We even offer double-sided banner printing and banners made with heavy-duty material for outdoor use. Whether you want grommets, hems, pole pockets, or a banner installed into a frame we can create the perfect product for your needs. 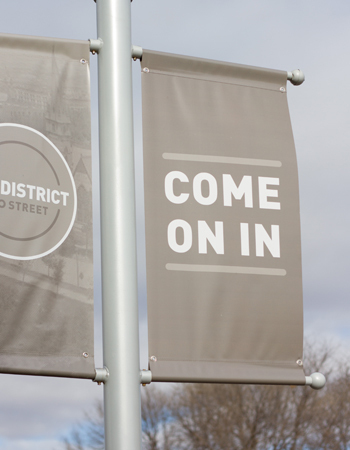 The best banners in the Twin Cities, starting at just $6 / square ft.